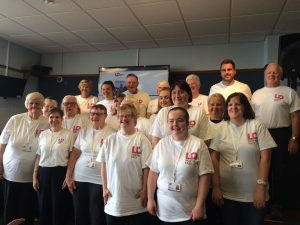 Here at LD:NorthEast we really value the mutual benefits of volunteering, and with over 40 volunteers we are incredibly grateful for the support we receive. Our volunteers have all sorts of skills and experience, and they make a real difference in supporting our work. We invest time and resources in our volunteer team and we hope they get as much out of the experience as we do! Volunteering comes in many forms, from people committing much of their week to support us, to the odd hour here and there. Do you have a talent or a skill that you could share? Are you a musician, an artist, a gardener, a sports enthusiast, a good listener or really good at organising events? Can you commit time regularly or are you willing to be called upon for one off projects? If so we would love to hear from you!